Our trend and fad free programmes are based on the principle that there isn't such a thing as ‘One Size Fits All’ when it comes to fitness and nutrition. We take training personally. Combining science, personal experience and endless enthusiasm, Amélie’s approach is personal, consistent and strategic. Results driven performance is our goal. Each person is unique and so should their eating and training protocols be. No two plans are the same because no two bodies are the same. Your individuality is our canvas. “Super-toned, infectiously bubbly and rigorously French, Amélie makes training a total joy. 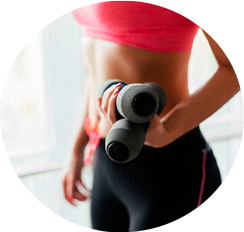 Her carefully crafted core crunching programmes fit into the smallest spaces (she brings mats, dumbells and resistance bands to you), and she’s a big believer is using your own body weight through routines that whittle down waists, lengthen limbs and clad you in muscle. Her enviable body plus the fact that she works hard at it – is good incentive.” Tatler Gym Awards, July 2016. The body mass index (BMI), or Quetelet index, is a measure of relative size based on the mass and height of an individual. Knowing your BMI is important and you can calculate it here. Paris-born Amelie Khellaf has enjoyed a successful international career in PR and marketing before choosing London as her base. Her passion for fitness and nutrition started in her early teens when practising karate was part of her daily routine. The discipline acquired with that sport has led to a complete dedication to personal fitness and a healthy lifestyle. 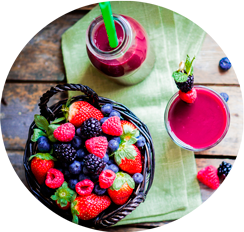 Food is the body’s fuel and the key component of a healthy lifestyle. 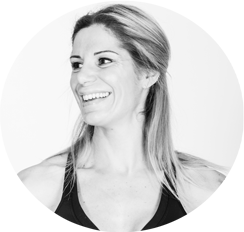 A qualified nutritionist and real food lover, Amelie’s approach is gimmick free. Exercise and healthy nutrition amplify each other and her method is based on three pillars: Declutter, Fight and Preserve. Each individual‘s behaviour towards food is personal and so is the way we design any eating plans.